The Architectural Group - Projects - The Architectural Group, Inc.
TAG's goals were to obtain a space suitable for supporting a studio environment for their staff, and have the potential to create an image reflective of the company's direction. 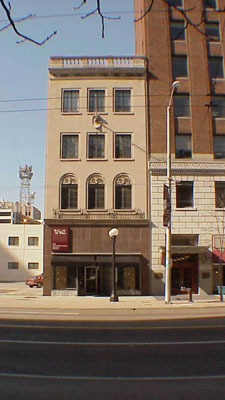 The former Walker's Clothing Store offered unique opportunities to respond to these requirements. Many of the original clothing store elements and building space remain in place, including display windows that the firm uses to display examples of its work and information about Architecture in an effort to improve public awareness.